Northwood Together Partnership Board and local councillors, volunteers and organisations worked together to spread some festive cheer by giving out food hampers to local families. 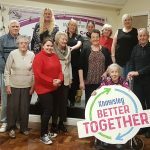 Northwood Together is a community project based at Northwood Community Centre that gives local people the chance to make a difference in their neighbourhood by raising aspirations, creating opportunities and enriching lives. Northwood Together asked KIND, a charity that helps children and families in Merseyside cope with the effects of disadvantage and poverty, to make 100 hampers for those who need support the most in the area. The hampers had enough food to feed either a family of two or four for a week and contained mostly everyday essentials such as tinned food, pasta, tea and coffee, as well as a few luxury and festive goods including tinned biscuits and Christmas logs. 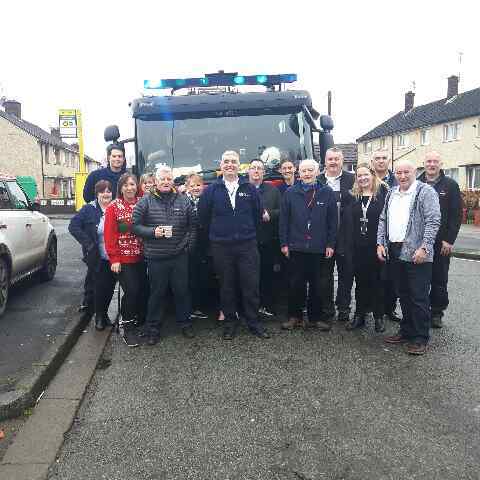 Knowsley Council’s Street Scene team helped by delivering the hampers to Northwood Community Centre, enabling them to be distributed to families the week before Christmas by a number of organisations, councillors and volunteers. 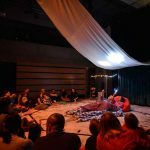 The organisations include Volair, Merseyside Fire & Rescue Service, TASC, First Ark, Knowsley Housing Trust, Your Housing Group and Northwood Together Partnership Board. Northwood Together Partnership Board would like to thank everyone who made it possible to give the hampers to the deserving families.